The BDC atomizer head comes available in two values of resistance, 1.8 ohm and 1.6 ohm, delivering functionality as well as a better vaping experience. Its dual coil structure ensures large amounts of vapor under low voltage, no burning taste under high voltage, and no leaks. The BCC-GT is a quality atomizer that comes in seven fun color options and features a pluggable mouthpiece. There are seven colors to choose from: black, silver, white, pink, red, purple, and blue. 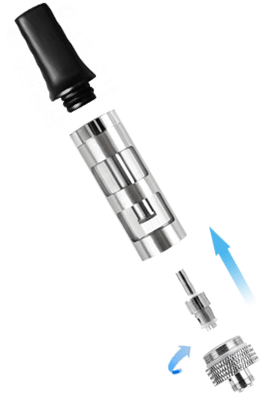 BCC-GT atomizer has a 14mm diameter and is made of stainless steel. You can choose a plastic or glass window. 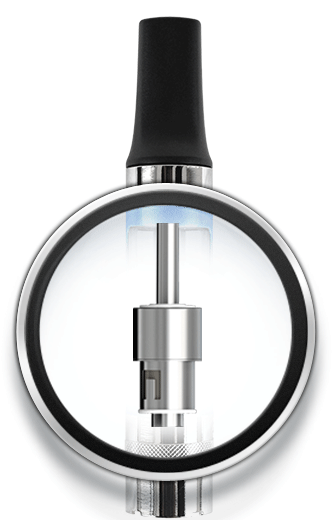 The window conveniently lets you see how much e liquid is left and when it's time to refill. The BCC-GT atomizer works for battery with eGo thread such as iJust D16 Batter, iJust D14 Battery.